Living Area 1894 Sq. ft. 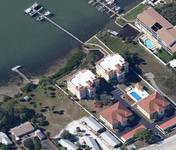 Here is your opportunity to purchase a permanent residence or vacation home alongside Florida's Gulf Coast. 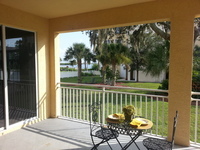 This spacious condo in the waterfront community of Oak Shores at Lemon Bay offers exceptional value! 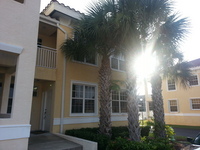 Not only is this unit conveniently located across from the pool area, it also has great partial views of Lemon Bay. 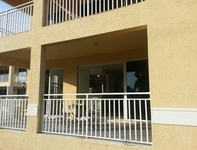 You will enjoy many aspects of this unit, including the open layout, a modern kitchen with solid countertops, oversized lanai, dining area, and incredible natural lighting, for example. The master suite is located separately from the other bedrooms and features a double door entry. Highlights of the master bedroom include sliding door access to the patio and a large walk-in closet divided into his and her sections. The large master bathroom features double sinks, a large soaking tub, a generously-sized shower, and abundant storage. Other highlights of this unit include a 2-car garage, heavy-duty sliding doors, tile flooring in the common areas, and an inside laundry room. 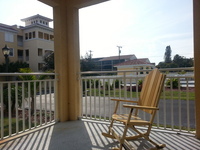 The community has a quiet green area with panoramic views of Lemon Bay, as well as a private boat dock. Additionally, the beach, shopping and restaurants can be reached by bicycle in no time. Come see this great property for yourself today!